This book is a sequel and the last one – but can also be read as a standalone – of the Loïs Elzenga trilogy. Loïs is a police officer in Alkmaar and has had a tough youth with her family, but she is strong. She finished high school and went to the police academy. Now a few years after the academy she is working as a police officer. Different kind of crimes, locations and suspects come along. She loves her job and let her life be the way it is. Spontaneous, adventure and also moments of ease. Life as in “It is as it is”. 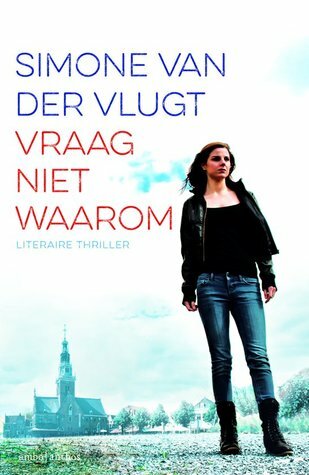 What I find so beautiful about this main character is the self-awareness she has about her situation, her position in the society as a resident of Alkmaar and her position as a police officer. The book reads easily and has a few sudden little twists. Different locations, points of perspective from one of the characters and so on. And also a change from main character in a few chapters. Then the angle of storytelling turns from Loïs to a different character with a new situation. These little twists are interesting and you will question yourself again the ‘who-dunnit’ question. But the plot twist, wow, that really stands out! I have found at this first read, not a single grammar or spelling mistake. But a funny fact is that it is – for now – the book with the most character names I have ever read in a story written in less than 300 pages. As mentioned above, this book contains the most characters I have ever read mentioned in a story that is written in less than 300 pages. In total I discovered 50 individuals that ‘passer le revu‘. Yes seriously it says: 50, fifty! This series started with around 12 characters in the first book and a bit more than 20 in the second. Of course most of the main characters of the first book come back in the second and third and suspects and witnesses are added and added. But it is incredible that it is not too much. The amount of characters does not distract you from the story and everything stays pretty clear. I have to say I was halfly wrong about the plot, it had such a wonderful twist I did not expect and turned my main suspect into….well discover yourself haha. Besides Loïs Elzenga and her married sister Tessa van Sevenhuysen – who plays a major role in this sequel – are also a few close acquaintances such as Onno & Guido van Sevenhuysen, the colleagues Claudien, Nick, Ramon, Linda, Jessica, Silvan, Susan, Huib and Fred with his wife Nanda. These are already fourteen names. The other characters are suspects, witnesses, victims or other acquaintances, but I leave those names up to you because I will not reveal which character is in which position in the story. It would be so nice if this trilogy would be filmed as a small series! Like a little 6-sequel BBC Series, three times part I and part II. I hope you like the book too. It is definitely worth to read it! The whole series! I am not telling about the story too much– never do in my book reviews – you have to read the book yourself and make your own opinion.